Confidence, specifically the self-assurance knowing one's abilities are equal to the next challenge, is the result of success in previous trials of increasing difficulty. As students grow in the ability to reach out to others, share ideas, add to their knowledge, and think through dilemmas to arrive at new solutions, they will grow in confidence. The success bound up in the mindset to "keep moving forward" when an attempt at a new challenge fails springs from the confidence and self-motivation of the student. The earlier-discussed skills of creativity, critical-thinking, content, communication, and collaboration nurture a wide variety of possible responses to an initial failure. Reflecting on the results of the first attempt, shifting to a new line of thinking, researching to gain further knowledge, or discussing a problem with others are all manifestations of the perseverance needed to turn an initial failure into an eventual success. To encourage students to take risks in exploring new skills and ideas, the SPARK teachers create experiences and environments to decrease the consequences of taking risks and missing the mark. 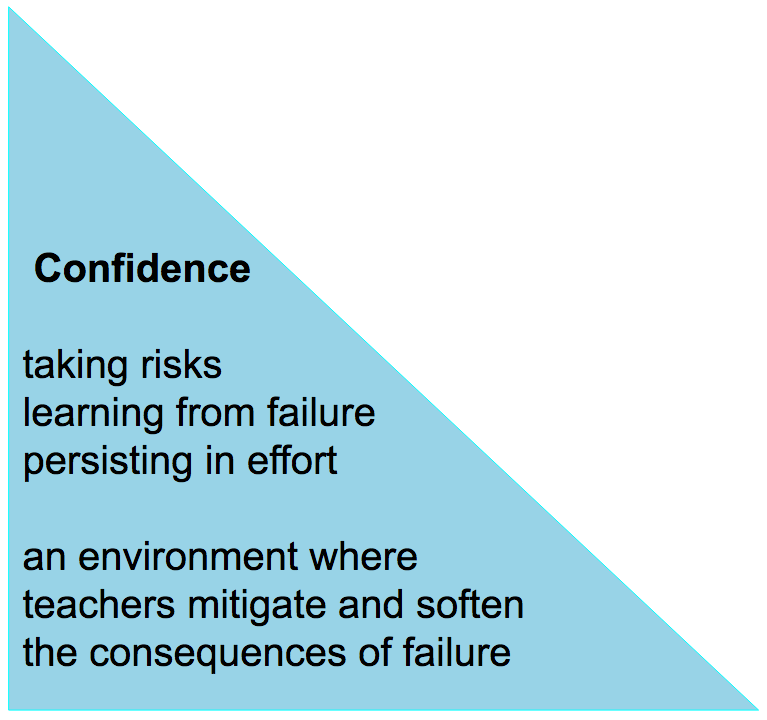 ​By mitigating or softening the consequences of a failure, teachers provide scaffolding for students working at the very edge of their present skills, creating the curious construction Dr. Roberta Michnick Golinkoff and Dr. Kathy Hirsh-Pasek call "safe risks." ​Students are rarely perfectly skilled at the beginning of any endeavor; the use of student reflection and self-assessment centered on the 6Cs with teacher feedback and guidance throughout the year in place of numerical or letter grading scales help provide meaningful experiences and a record of growth.